1995 Outstanding contributions as a Distinguished Lecturer in continuing education program in Preventive Dentistry for Dental Technicians. I have been practicing as a Registered Dental Hygienist for 22 years. 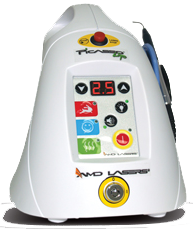 I began using the diode laser in 2006 as a clinician. In 2006, I worked a maternity leave office that had a periodontal soft tissue program implemented with laser. I have since then incorporated this and my own knowledge through other classes and experience to build a laser practice into all my previous and current offices since 1996. I believe in giving the highest standard of care to patients while also increasing production for the offices. 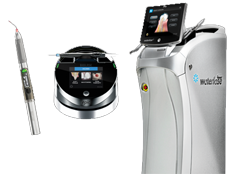 I see a great value in using the laser and want to share my knowledge and experience with hygienists and other offices to help them understand and benefit from my experiences. 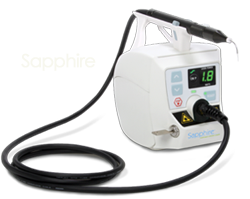 When talking to other hygienists, I found a great many of the hygienists didn’t fully understand the clinical application of the diode laser for the patient or how to incorporate into the office. These particular hygienists stated they didn’t feel comfortable doing clinical applications or corresponding to the patients about benefits and use. This inspired me to create my own consulting company and get my lecture approved by the California Dental Board to help them in these aspects.